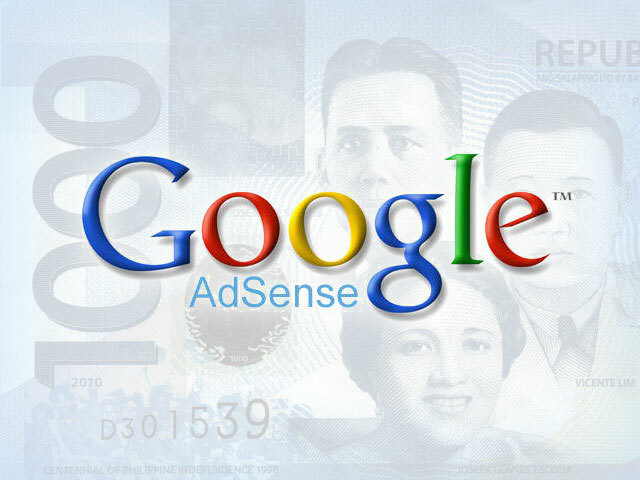 Google Adsense is the major source of revenue of most blogs in the Philippines. If you are starting a blog and planning to apply for a Google Adsense account, here are some tips to consider so that you will be accepted. 1. Write original and high quality blog posts. Before even thinking about monetizing your blog, make sure that you have at least 10 original and high quality blog posts. Each post should have at least 400 words each and written in a span of several days. A set of blog posts published in a single day raises suspicion on Google. To write high quality blog posts, you should choose a topic that you are very interested in. For example, I blog about technology and gadgets because I am very interested in what's new in that field. In your About Page, describe your blog and highlight the topics that you are going to be talking about. Generally, a blog needs to be focused on one topic only except if you are creating a news blog. For the sitemap, you need to submit one to Google Webmasters Tool. If you are using Blogger, your sitemap is http://yourblog.com/atom.xml?redirect=false. 3. Use a top level domain name. If you try to apply for a Google Adsense account with a .blogspot blog, your application won't be accepted. You have to buy a top level domain name like danielgubalane.com in order to be accepted. 4. Specify the number of your house. When I applied for a Google Adsense account, I was rejected at first with the reason that has something to do with the address. My mistake was that I just put Baugo, Curva in the street address. Since our house has no number, I just used our neighbor's house number and I got accepted. 5. Use the YouTube approach. If you are still struggling to be accepted by Google Adsense, go ahead an make some videos for Youtube. You can then apply for an Adsense account for your YouTube videos. After getting accepted, you can then apply for your site and your chances of getting accepted is higher. Those are the tips that I can give you so that you can be accepted by Google Adsense and start earning from your blog. If you have more questions, feel free to ask me in the comments below and I'll try my best to answer you. Thank you for this info. I am looking forward to monetize my new site http://startwithbasix.com .. I was once banned by google my other site (dead already). Is there a chance I can re-apply with my same name though i will use it for my other site? I think you can re-apply with your name and your new site. What do you see when you login to Adsense? I haven't logged in with that old account yet ( I forgot it already). You think I can still apply with my name? Some of my friends told me before that there is no way to re-apply to google adsense once your ban. But I'm still hoping. Sorry, this is still Gremeir. I forgot to sign out my other gmail account. Try applying using another Google account but with the same name. Okay, I will. But for now, I have to publish more article. Tnx BTW. magkano naman kaya ang domain? Domain names cost around ₱500. sanpo pwedeng makakuha ng domain? and how to pay for it? You can try GoDaddy or NameCheap. NameCheap offers cheaper fees but GoDaddy has been in the business for years. You can pay using credit or debit card. Smatmoney pwede. Sa 1st year lang yung price na yan then about 9 dollars ang renewal per year. sir paano ba ma-edit ung website dun sa Adsense? Hindi pa kasu naa-approve ung adsense q dahil kulang daw sa content, ngaun gumawa aq ng bagong website at gusto q palitan ung website na nasa Adsense q. May idea po b kau kung paano palitan un? Hi sir how do you received your adsense earnings? Is there any requirements? Hello Darlyn! I receive my Adsense earnings through Western Union. Is it tax free? I don't have SSS/TIN whatsoever pa po kasi. I'm still a student. There's a small documentary stamp tax that Western Union collects when you withdraw your payout. Yung blog ko po may 15 publish post na po. Pero yung 8 dun gnawa ko for 1 day. And sabi nyo po kailangan may span bago gumawa o mag post ulit. Pwede ko ba munang e delete yung 8 tapos i undelete ko every other day? Need help po. Sorry, address change to this country/region is not yet supported. Hi. tanong ko lang po kung pwede ba yung copy and paste na article basta meron lang ilagay na sources or web address kung san galing yung article. How many YouTube videos do I need to apply for Adsense (approximate)? 1 month pa lang po blog ko ehh..hehe...Kelan po kaya the best time para mag-apply? 3 months ? any suggestions? This is probably the only specific list I have seen. These still all hold true 3 years after the post? According to the adsense site, some websites may need to be up for 6 months before applying. Not sure if the Philippines is included though. Only been half a month since I made my website. But it has been fun! I don't think if Philippines hit with the 6 months restriction approval, but I'm sure it depends on the content quality. By the way I am new to blogging also and my niche is all about Android, http://www.androidpinas.com/ "Sir Andie" can I check your blog too?